Are you 50 yet? .... Enjoy 2 free visits! 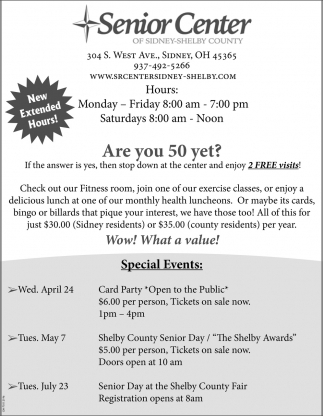 For Seniors 50 years and better!